Very very grateful to his last customers of the day who let us fall into their pool before we headed home! 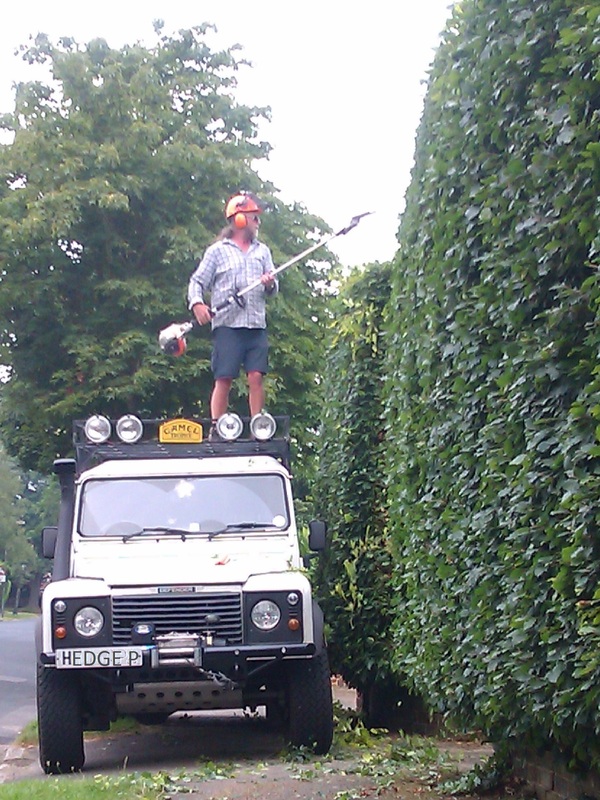 This entry was posted in Cycling, Life, Olympics and tagged Gardening, hedge cutting, hedgepete, landrover, road closures. Bookmark the permalink. We loved the Olympics here. Especially the ceremonies. Who knew the Queen could sky dive? Grrr… I replied to this & it has disappeared into the ether? Maybe it’s in my spam …. I am in Ireland, maybe it knows?